The Port Melbourne Football Club are delighted to announce the signing of one of the VFL’s most powerful big men, Tom Goodwin, for season 2019. 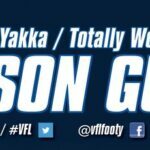 Buy Quality Valium Goodwin, 27, joins the Borough from fellow standalone VFL rivals Coburg, and brings with him an outstanding footballing repertoire. https://www.gridface.com/buy-adipex-pills-online Initially from East Ringwood, Goodwin has spent time with Port Adelaide (SANFL) and Box Hill (VFL) before landing at the Lions on the eve of season 2015. 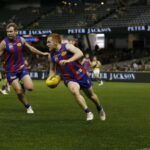 He has since fielded consistent interest from AFL clubs having gone from strength-to-strength in the VFL competition, and marks a massive coup for the Borough’s ruck stocks. Goodwin was the winner of Coburg’s senior Best and Fairest award in 2016, and has been captain of Coburg for the past two seasons; meaning the football ability that he brings to the playing group will be matched equally by leadership, experience and a hunger for team success. Goodwin said he was incredibly excited by what lay ahead. Buy Diazepam Thailand “I’m looking forward to coming to a club with such a rich history of being successful,” he said. 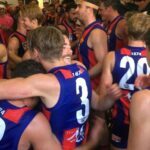 https://www.warrenneidich.com/oi3yjxeegm1 Goodwin said he already had good relationships with some of the playing group, including some of the boys who will be excited by the prospect of having the big ruckman feeding them first use of the ball at stoppages next season. http://www.sterlingvehicles.co.uk/99488638 “I’m good mates with Tommy O’Sullivan, Matty Arnot, Eli Templeton and Jordan Lisle. Buy Zolpidem Online Legally “They’re a really good bunch of blokes who are all striving to be competitive,” he said. Goodwin said that “funnily enough” he had completed a pre-season with the Borough in season 2011, and had always kept a close eye on the club’s fortunes since. https://bramleybaths.com/flculcu5w3k “I’ve always loved the club from afar and had a healthy respect for the place. 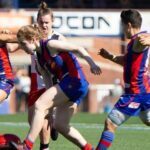 Port Melbourne Coach Gary Ayres said Goodwin would be a terrific acquisition for the Borough’s Premiership ambitions next season. “Tommy will definitely bring some presence to our squad,” he said. Buy Phentermine In Stores “He’s been a captain and a Best and Fairest winner; and with that comes leadership and an ability to understand the game,” he said. 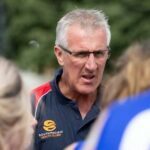 https://futuresensefoundation.org/uncategorized/25xraub Ayres was also attracted to Goodwin’s knowledge of the competition and the workings of a VFL standalone club. Buy Adipex P Online The 200cm-tall Goodwin played 64 games for Coburg, booting 13 goals and also represented the VFL State Team against Western Australia in May 2017. We welcome him to the Borough and wish him all the very best!